Photo by: Valplast International Corp. While partial dentures may not be for everyone, sometimes they are the only option. One of the main advantages of a partial denture is the ability to replace many teeth, at an affordable price. Valplast partial dentures are considered removable. There can be many advantages and disadvantages with partial dentures. One disadvantage of removable partials is that they come out, or sometimes while eating, they can move. Partial dentures can take a while to get used to, which can be a challenge. The disadvantage can also be an advantage. The fact that partial dentures do come out makes everything easier to clean after a meal, since they come out. 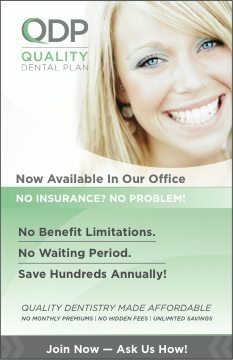 For more options on replacing teeth press here for a brochure from the American Dental Association. Valplast partial dentures is something relatively new in our dental office. I must admit I was skeptical at first. In dental school I was taught about partial dentures made with metal frameworks. Partial dentures with metal frameworks were considered the “gold” standard, or the best we had to offer. The metal framework is custom made to adapt around the teeth for retention. The metal clasps hold on in an attempt to keep the partial denture from moving. A lot of thought and preparation goes into every metal framework that is designed. Part of the procedure in many instances requires “prepping”, or cutting the teeth with rests for the metal framework to adapt into the mouth. The downside to partial dentures made with metal frameworks. The first downside I see is that the metal clasp sits on a part of the tooth that has been cut to adapt the metal framework, and if the partial isn’t taken out often to be cleaned, cavities are more prone to happen. The other downside to partial dentures with metal frameworks can be the metal clasps. Even though it may be minimal, there is only so much you can do to hide the metallic look. How many times have I delivered a partial denture, only to have the patient be less than satisfied with the esthetics? So, two of the main reasons that I’m starting to recommend Valplast partial dentures more and more are 1) No prepping of natural teeth. I don’t want to have to cut into any healthy teeth. Teeth need all the help they can get, and if I can leave them alone, all the better. 2) The esthetics are hard to beat. I called up Valplast International Corp, and spoke with a gentlemen by the name of Nabel. I asked him if he had any pictures that he could share, and he graciously emailed me the above photo. I think the picture illustrates nicely what I have been seeing at the office. I love it when the partial denture clips in place, and it disappears, I must admit it is a goal we try to obtain with every case. You can’t see the line between the natural teeth and the partial denture, it just blends into one complete smile. Can your partial denture do this? 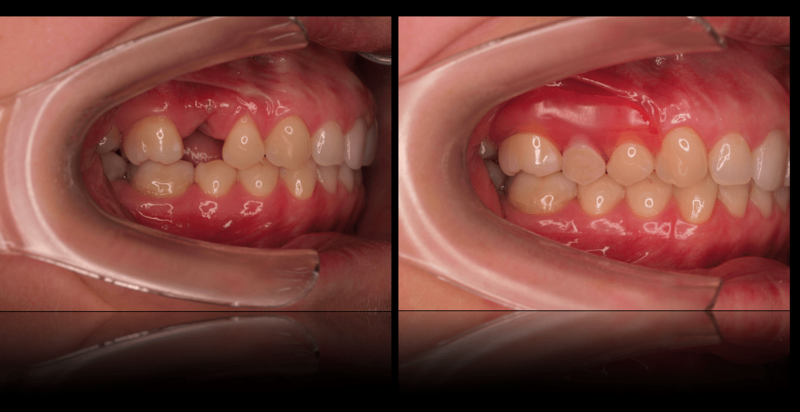 In the above video clip you can see how “elastic” the Valplast partial denture is. The clasps are very pliable, allowing the partial to hug the teeth more aggressively. I like that. The other advantage with Valplast partials is the cost. The cost for a Valplast partial denture is less than conventional metal framework partial dentures. How often does that happen, when the new and improved actually cost less? Do you have some missing teeth? Do you have a partial denture with a metal framework? 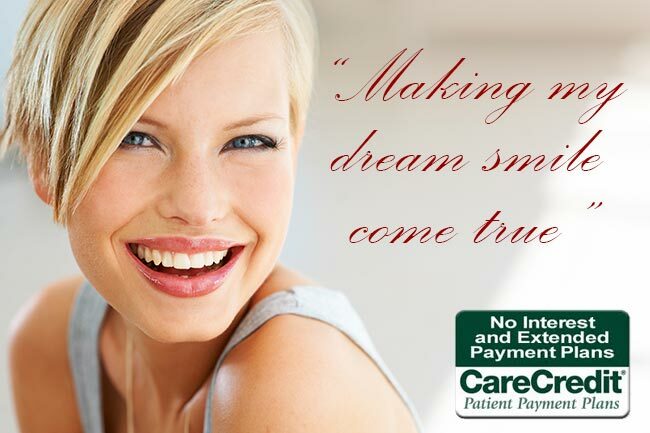 If you are interested in knowing more about whether or not a Valplast partial is right for you. Dentures are less costly than implants and therefore are the most affordable option for some patients. Many people choose to start with dentures. Since they are less expensive a patient may try them out and see how they feel. I really like the information you have provided here regarding partial dentures. Surely this is going to be very helpful. Michia, my Friend, It’s been a while since your last message. I have so many questions. I was under the impression that Google+ was dead, yet it appears to live on? I am friends with Dr. Davis. I was unaware that Ron does Invisalign? I’ll have to give him a call to catch up. Thanks for stopping by. I had a Valplast for years and loved it! It lasted me years until I recently lost a tooth out of it. I expected them to have me fitted for a new one, but for some reason they gave me this hard thing that I was not expecting! I am very unhappy with it and will be calling them Monday! If they won’t satisfy me I would like an appointment please? I have insurance and also out of pocket money. Please respond if possible by Tiesday. Oral implants are some of the a lot more intrusive procedures a dental expert could execute on his or her person. Hello Dr. Riddle, I loved your youTube video. Thanks for stopping by. In the future, real comments have a better chance of getting accepted. http://www.jeromeriddledds.com. Great post on the pros and cons of Valplast partials.